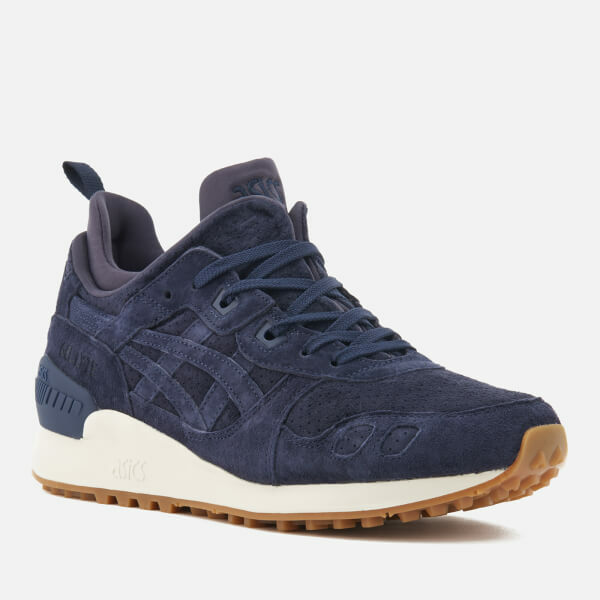 Men’s ‘Gel-Lyte MT’ navy suede mid-top trainers from Asics. 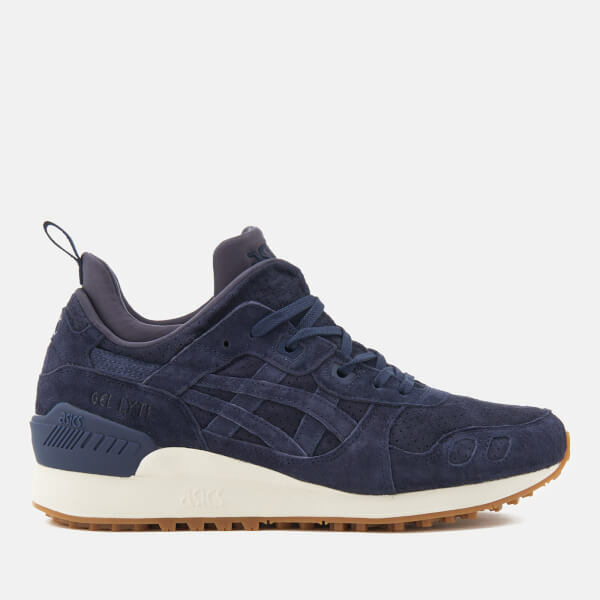 Crafted with smooth suede uppers, the sneakers are designed for cold conditions with a technical inner monosock for increased ankle coverage and a durable rubber tread outsole for added traction. 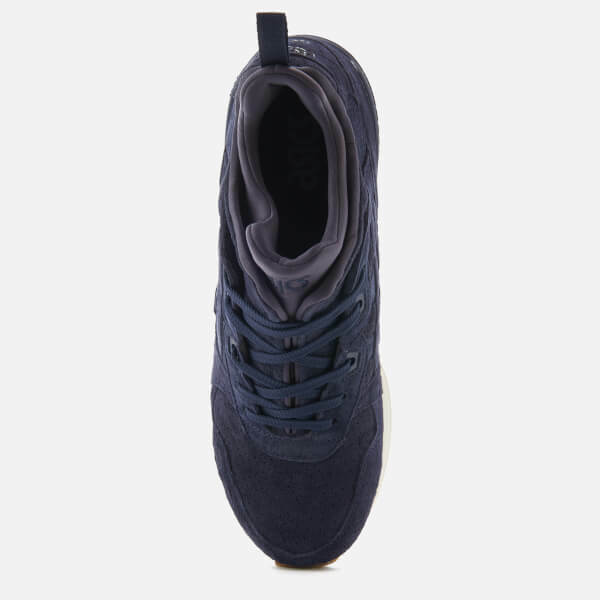 The mid-top trainers feature perforated sections, signature tiger side stripes and a classic split tongue. 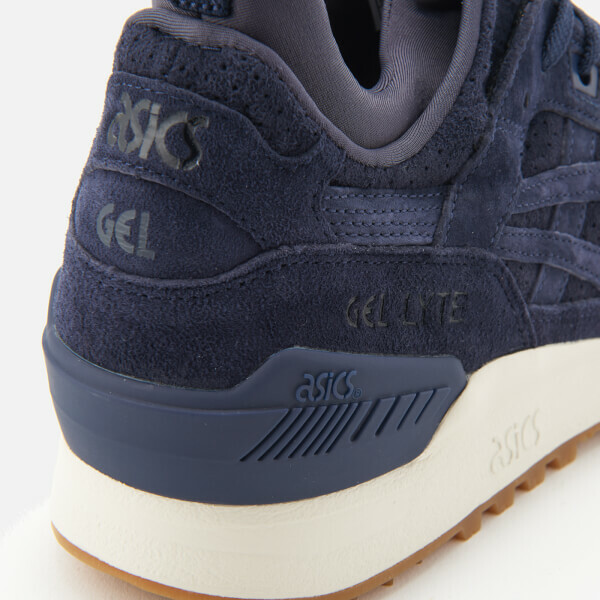 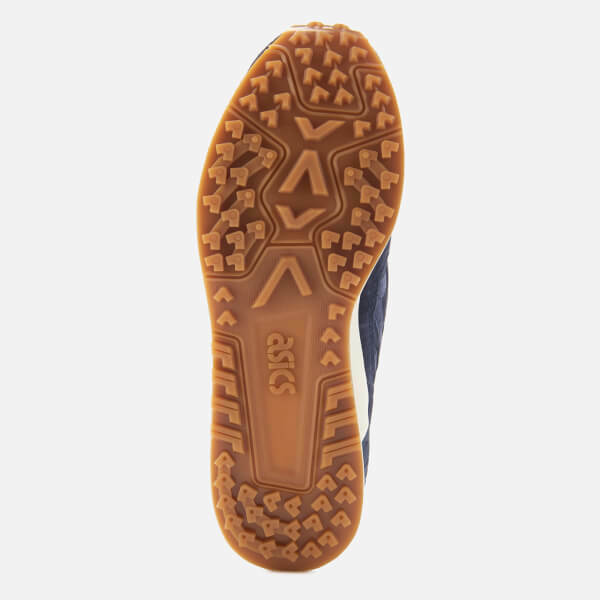 Set on a Gel cushioned midsole for comfort, the trainers are finished with a heel counter for added support, a pull loop to the heel and signature branding throughout.